Horton, R.. "Anishinaabemowin: Ojibwe Language". The Canadian Encyclopedia, 01 May 2018, Historica Canada. https://www.thecanadianencyclopedia.ca/en/article/anishinaabemowin-ojibwe-language. Accessed 25 April 2019. 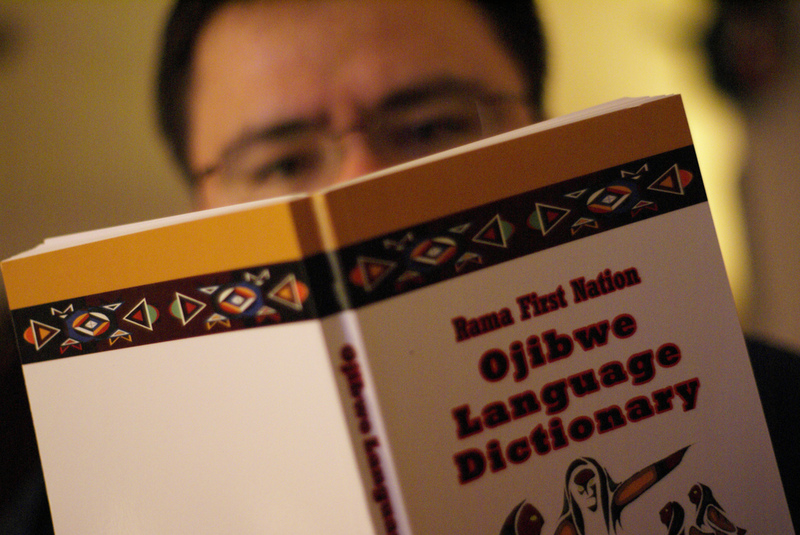 Rama First Nation, Ojibwe Language Dictionary. Though many may use the terms Anishinaabe and Ojibwe interchangeably, they can have different meanings. Anishinaabe can describe various Indigenous peoples in North America. It can also mean the language group shared by the Ojibwe, Odawa, and Potawatomi peoples. Ojibwe, on the other hand, refers to a specific Anishinaabe nation. Anishinaabeg is the plural form of Anishinaabe and consequently, refers to many Anishinaabe people. Anishinaabemowin, the term often used to describe the language of the Ojibwe specifically, can also be used to describe a language spoken by other Indigenous peoples of North America. Ojibwemowin, sometimes used interchangeably with Anishinaabemowin, refers specifically to the language spoken by the Ojibwe people. Anishinaabemowin is part of the Central Algonquian language family, which is a group of closely-related Indigenous languages (such as Odawa, Potawatomi, Cree, Menominee, Sauk, Fox and Shawnee) with similar sounds, words and features. 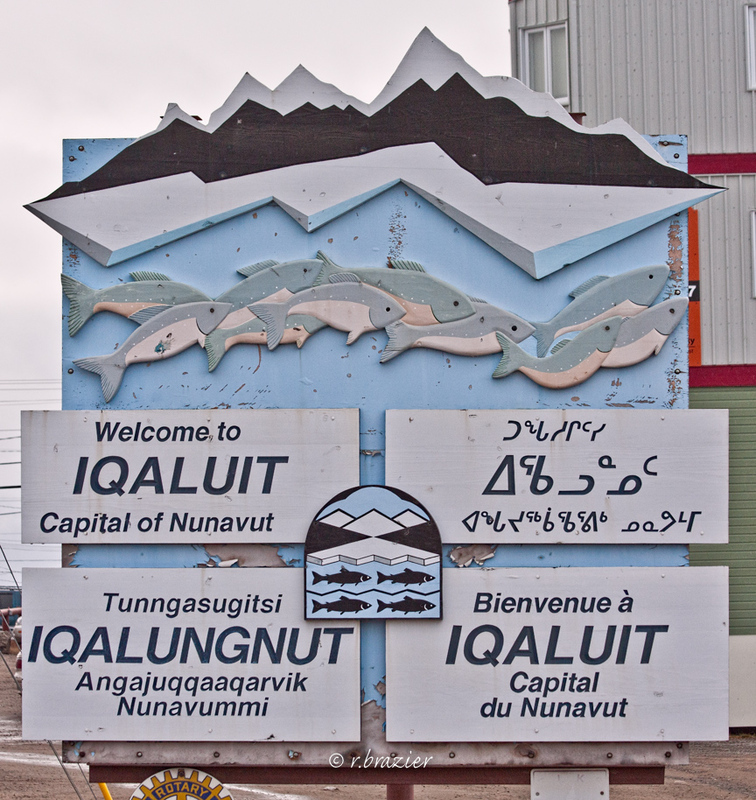 The Central Algonquian language is part of the larger Algonquian language family, which spans from the Rocky Mountains (Blackfoot Confederacy territory) to the Eastern Seaboard (where Mi’kmaq is spoken). Anishinaabemowin began as an orally transmitted language. Historically, there was a specialized form of symbol writing to communicate teachings sacred to the Ojibwe people. While Anishinaabeg continue to honour symbol writing, written forms of Anishinaabemowin using Roman orthography (i.e., the Latin alphabet, such as that used by the English language) is the primary form of written communication. Christian priests and missionaries who traveled to Ojibwe territories were the first to write Anishinaabemowin using the Latin alphabet. (See also Indigenous Territory.) Slovenian Roman Catholic missionary Frederic Baraga actively learned Anishinaabemowin as a means of promoting the conversion of Indigenous people to Christianity. 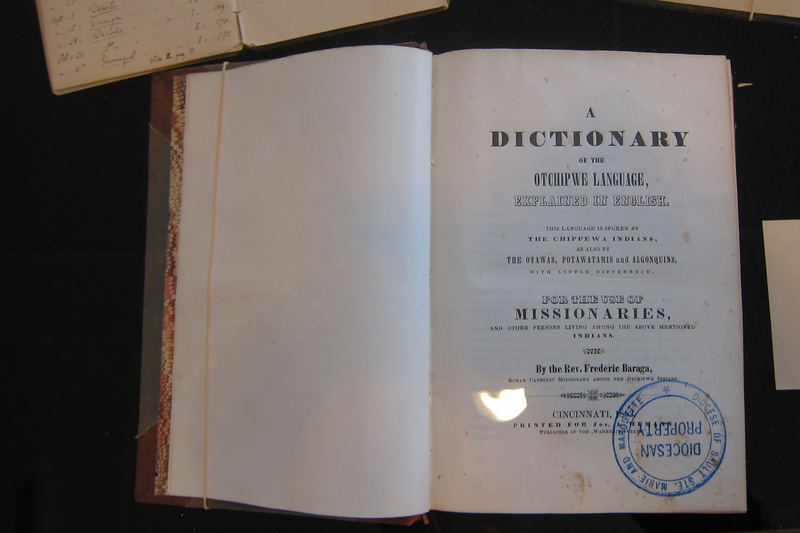 As a tool for fellow missionaries, Baraga authored the Dictionary of the Otchipwe Language in 1853. Otchipwe (a misnomer of Ojibwe) is a basis for the term Chippewa. The writing systems employed by missionaries can best be described as folk-phonetic style. 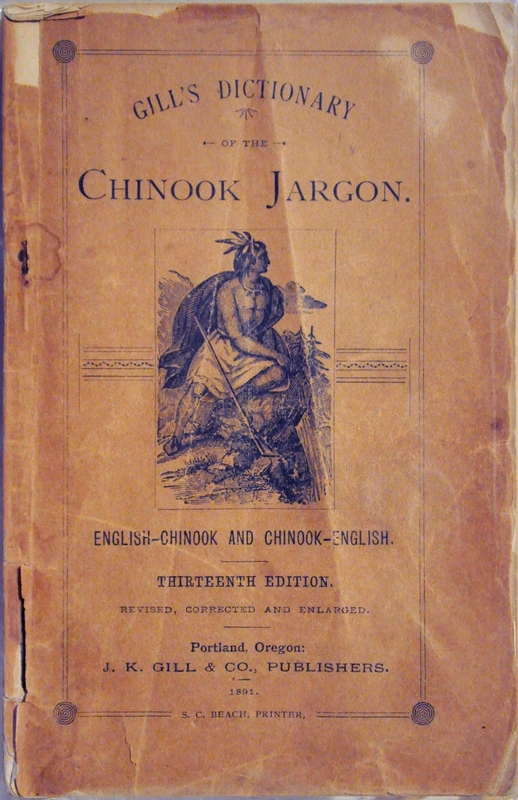 Dictionary of the Ojibwe Language by Father Frederic Baraga, 1853. In 1840, Methodist clergyman and missionary James Evans created a system of syllabics following his travels among the Cree of Norway House. Using a system of glyph-symbols that represented combinations of consonants, vowels and final sounds, Evan’s system of syllabics spread widely among the Cree and Ojibwe peoples. Syllabics continue to be used in various capacities today. Traditional knowledge holders share that the language was originally created by Nanaboozhoo (sometimes spelled Nanabozo, also called Wenaboozhoo and Nanabush) after Gizhe Manidoo gave him life, lowered him to the Earth, and gave him the responsibility to name everything in existence. By means of Nanaboozhoo’s task, Anishinaabemowin was born and spoken into existence. Elders often speak about the importance of Anishinaabemowin to Anishinaabe culture and society. In addition to routine communication, the language is essential in the officiating of Ojibwe ceremonies and the repatriation of sacred items as well as in providing a unique way of understanding the world. The survival of Anishinaabemowin is directly related to the survival of Anishinaabe identity and culture. Cultural protocols and understandings are built into Anishinaabemowin communication. For instance, the word boozhoo (“hello”) not only acknowledges the original spirit of Nanaboozhoo and guides relationships based upon respect, but conveys the process of using the breath of life (“boo”) to express the feeling of life (“zhoo”). The word for old woman (mindimooyenh) describes one who holds everything together from the family to the nation. Bawaajige (“he/she is dreaming”) communicates travelling in the form of spiritual light when the body is at rest. Aaniin, which can be used as a greeting, conveys acknowledging the light within another person that is the same light within oneself. Across linguistic regions, Anishinaabemowin speakers generally introduce themselves to someone new using a specific protocol. Following a greeting, the speaker mentions their spirit name in the Anishinaabe language. They also acknowledge their home or territory, as well as acknowledging their clan. This is a spiritual identification, but it also helps others to understand differences in protocol that a person may have learned over the years. There are also two “genders” of nouns: animate (living beings with agency) and inanimate (non-living things). Animate and inanimate are linguistic classifications. Depending on which style of noun is used, the verb used to compound the noun into a statement may be animate (verb animate intransitive and verb transitive animate) or inanimate (verb inanimate intransitive or verb transitive inanimate). Anishinaabemowin is a considered an endangered language. Assimilationist policies and programs, such as the residential school system in Canada (and the boarding school system in the United States), have led to the decline of language use. However, there are efforts to revitalize the language. Immersion programs allow students to speak the language regularly. Ojibwe language and teacher education programs (such as those at Lakehead University, Algoma University, University of Manitoba and others) are also central to revitalization efforts, as are publications and print resources (such as the bilingual Oshkaabewis Native Journal), community and workplace language tables, and technology resources (such as video tutorials, webinars and mobile phone apps). 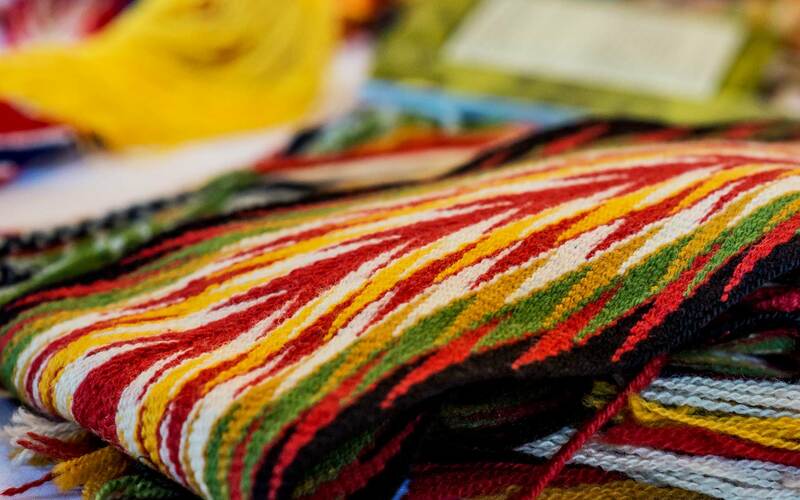 Research has demonstrated that Indigenous peoples’ acquisition of traditional languages correlates to increased self-esteem and community well-being, among many other positive gains. In 2017, Prime Minister Justin Trudeau proposed an Indigenous Languages Act to assist with the protection and revitalization of Indigenous languages, such as Anishinaabemowin. Edward Benton-Banai, The Mishomis Book: The Voice of the Ojibwey (2010). Brendan Fairbanks, Ojibwe Discourse Markers (2017). Margaret Noodin, Bawaajimo: A Dialect of Dreams in Anishinaabe Language and Literature (2014). J. Randolph Valentine, Nishnaabemwin Reference Grammar (2001). DICTIONARYThe Ojibwe People’s Dictionary is a searchable, talking dictionary that features the voices of Ojibwe speakers. It is also a gateway into the Ojibwe collections at the Minnesota Historical Society. Along with detailed language entries and voices, you will find beautiful cultural items, photographs and excerpts from relevant historical documents. Whenever possible, the site provides examples of documents in the Ojibwe language. OSHKAABEWIS NATIVE JOURNAL Published since 1979, the Oshkaabewis Native Journal has served as an interdisciplinary forum for significant contributions to knowledge about the Ojibwe language. OJIBWE LANGUAGE RESOURCE The Anishinaabemodaa Ojibwe Language Websiteseeks to serve as the official resource for the Ojibwe language, creating a unique and reputable location that people throughout the world can access for learning the language. TRC CALLS TO ACTION Learn more about the Truth and Reconciliation Commission of Canada’s “Calls to Action”, which include calls to protect and promote Indigenous languages in Canada. SEVEN GENERATIONS EDUCATION INSTITUTE The Seven Generations Education Institute is dedicated to excellence in lifelong learning and empowerment through language and culture, by providing community-based and student-centered learning opportunities for everyone. OJIBWE TV The CBC reports on an Ojibwe language streaming app. MACLEAN’S Read Kyle Edwards’s article, “Yearning to learn Ojibwe,” (Dec 2015).